Good whatever time of day it is, friend and fans of Hearthstone! 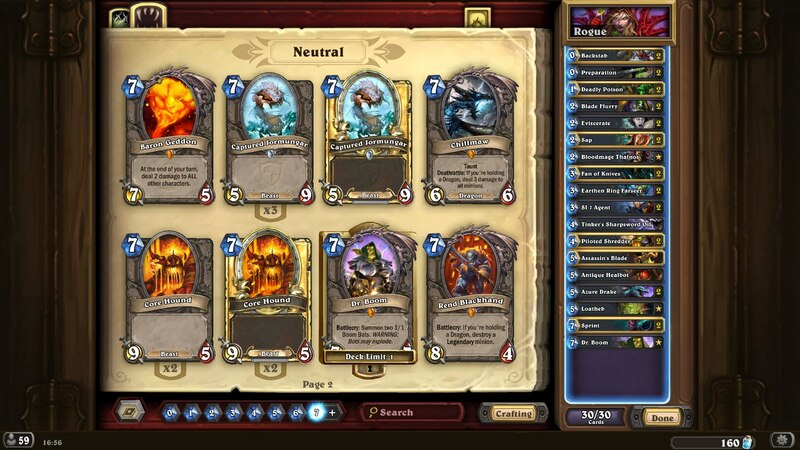 It is HR.NickChipper here, and today's topic will be «Top 5 decks of the current meta». To begin with, I would like to say that a name of the topic should be corrected a little, since in Hearthstone there are always two different roads, two different metas. They are a tournament meta and ladder one. Very rarely these two metas are similar, and the current one of the tournament do differ from the ladder. Starladder Season 1 ended just a week ago, and I want to congratulate participants and a winner of the tournament, StanCifka. So, what was I talking about? Oh, yeah! Speaking about the tournament meta, considering past SLTV Hearthstone, I want you friends to believe me that it was a deceptive tournament, which is really different from open tournaments and any weekly competitions. Why? At this tournament there was a ban of one class. And the strongest card, considering the experience of Road to BlizzCon 2015, turned out to be the Patron Warrior deck, which was being banned by everyone at this tournament. It, by the way, has been recently destroyed. Patron Warrior will never be the same. However, on my stream in the day of the Warsong Commander card change release, a player of the Na'Vi team, Xixo, took the top 6 legend playing changed Patron Warrior (with adding Dr. Boom, Loatheb, Piloted Shredder). How will it be at BlizzCon 2015? It is hard to predict. I expect to see such decks as Druid, Freeze Mage, and Contol Warrior. Kolento took Patron Warrior, Face Hunter, Tempo Mage and Secret Paladin at SLTV himself. Aleksandr's plan for the tournament was to ban Warrior, that will be in decks of every player, then rush such decks as Druid and Handlock. And it was a right decision for sure. The last deck was modified against Patron Warrior and designed against aggression: he had a Sludge Belcher card and two Duplicate secrets, which is a very interesting decision. After all cards of the Czech player had been opened, the players started to be afraid of this deck, and thus they had to play against Contol Warrior by StanCifka. The result of it is that a strong Hearthstone player is different from another one in that a strong player can foresee a tournament meta. As for the ladder meta: it is rather boring and monotonous here, which is very sad. The most popular deck in the HS ladder is Secret Paladin. 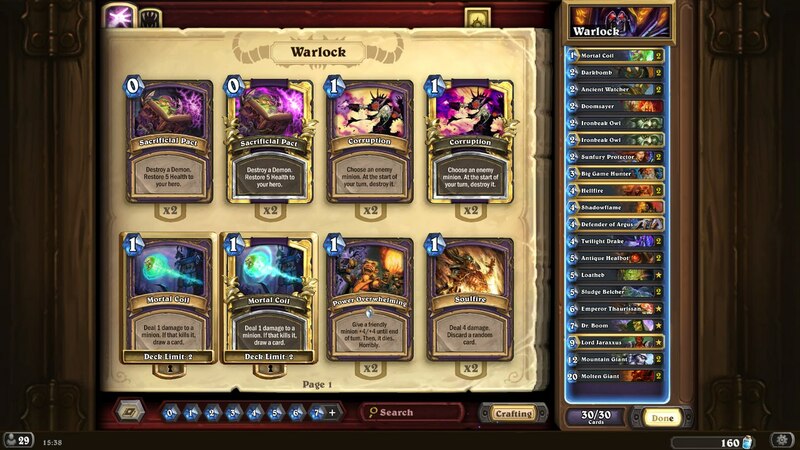 You know, friends, the HellRaisers players are often asked: «Is it possible to get the legendary rank with this deck?». Or ask: «What to get the legendary rank with?». Guys, use what is in the meta at the moment. 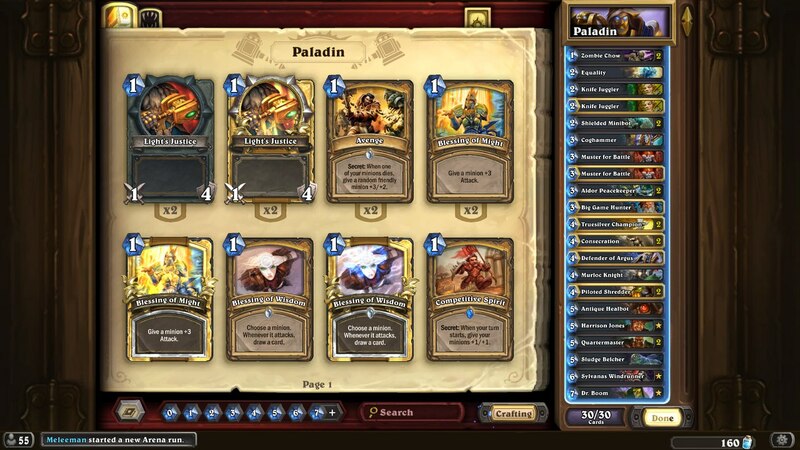 The top 1 ladder meta in Hearthstone at the moment is Secret Paladin. I would give the 23 place to two classes at once, Hunter and Tempo Mage. Why didn't I point out a type of Hunter? Because both Midrange and Face Hunters and playable right now. 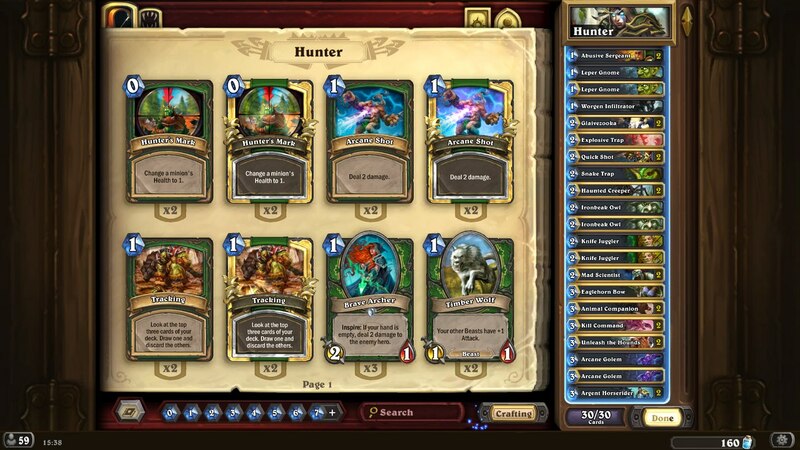 My advice for not very experienced players, who want to get the legendary rank is use Face Hunter. Begin with it, and then switch to harder Hunter. The fourth place of the ladder is Warrior. And again there are people who are trying to make something up with a Grim Patron card, and there are also those who do like Garrosh or Magni. They are switching to Contol Warrior. 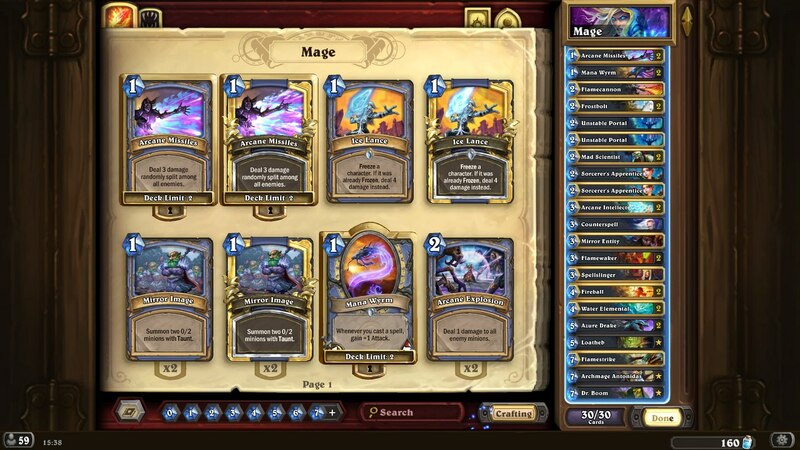 For example, a player and streamer under the SilverName nickname has been taking the first place in the European legendary rating with this deck for a week. By the way, the deck itself may be found on this link. It is very strong right now, and it will be even stronger. My forecast is that we will see many Control Warriors at BlizzCon 2015. Confidentially speaking, ThjsNL and Neirea will use the very deck in their lineup themselves. Control Warrior is really liked in the Asian region as well. The ladder is literally full of them there. Remembering the qualifiers for BlizzCon 2015 in this region, it is possible to mark Hunter as well. 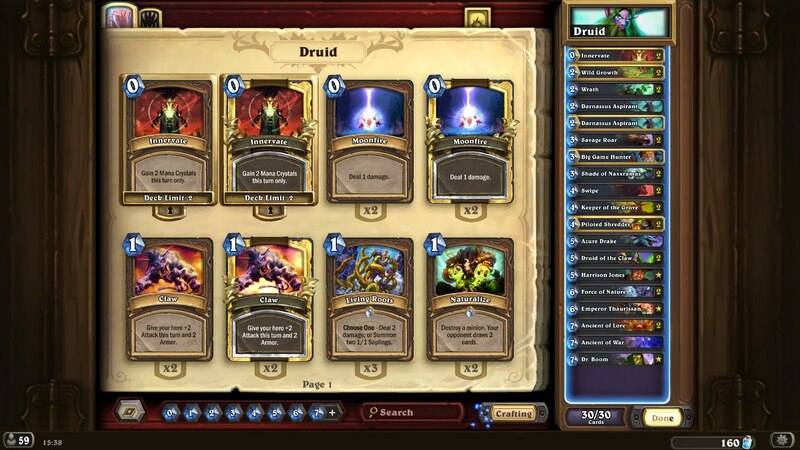 And the fifth place of the ladder rating is Druid. It should be said about his explosive popularity at the beginning of the season, since at that time the Cursed player made up Aggro-Druid. But the popularity of this archetype has faded away very fast. Anyway, many players think differently discussing this class. A player of the Vega team, Lucky, says that Druid is the best class for tournaments right now, and Archon.Orange does agree with him. But everyone will be surprised by the fact that C9.Kolento says that Druid is the weakest class for championships at the moment. He said it is on the same level with Shaman..
As it turned out, if you want to get the legendary tank in this month, you need any aggro deck and play 2 hours per day. So, thank everyone, who reads us, cheers for us and subscribe to our social networks. My current decks for the ladder and tournaments can be found below (pictures are clickable), and of course good luck!